Fashion Week is often described as “a circus”, and that phrase sums up the vibe pre-show outside the venues during the bi-annual weeks well. Traditionally attended by editors, retail buyers, stylists and the occasional celebrity guest, the front row has over the last few years gone through a transformation. As Stockholm Fashion Week kicks off at the end of August, many of the faces found in the “Frow” will be those of digital influencers, both local and international. 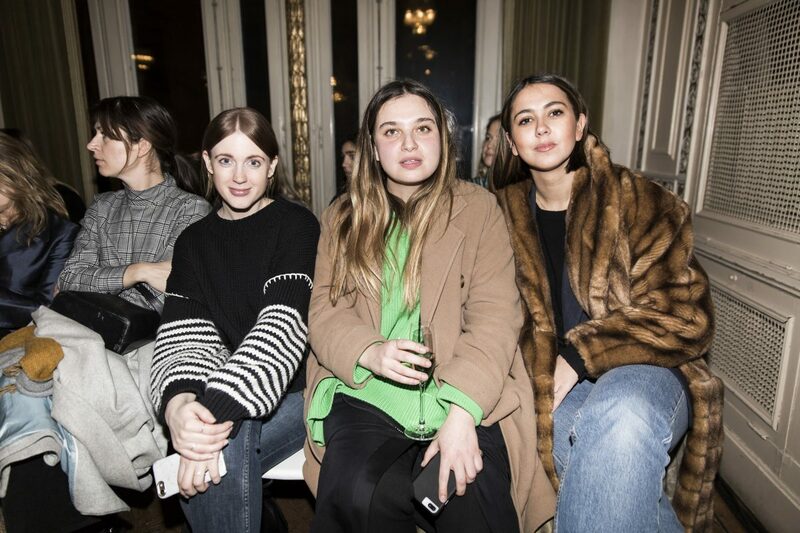 But what does it really mean to be an influencer at the fashion week? The rapid rise of this new industry has completely changed the face of the fashion world in recent years, shedding light on what used to be much more opaque goings-on to both dedicated and casual followers. Fashion influencers offer an instant behind the scenes view with a personal touch, showing their followers how to wear the catwalk pieces in real life, often effortlessly mixing luxury and high street. That has shifted the way brands choose to market themselves, and mainstream fashion media has adjusted to become more immediate, and keep up with the desire for instant access. “Because of the digital development I think there’s been a shift. It’s the same in Paris, London, Copenhagen and New York. One element is that we don’t have as many traditional journalists attending. They don’t travel in the same way anymore, which is of course a shame, but it’s also a part of the development. There are digital influencers who can be just as important to a brand as American Vogue, but these people provide different dimensions and access points for both the (fashion) week and the brands that are showing,” explains Emma Pettersson, fashion PR and member of the Stockholm Fashion Week Organising Committee. This shift has arguably opened up the fashion industry to a much wider audience than before. No longer are in-the-know insiders the only ones who get to see what we’ll be wearing six months from now. With influencers taking their seats in the front row, their followers from all over the globe get the same inspiration and live, behind the scenes access as press and buyers. Through Instagram, thousands of people can get a sneak peek at what’s walking down the catwalk, personal opinions on the upcoming styles, a sense of being there at glamorous events and, maybe most importantly, a look at what the influencer in question is wearing – tagged with the brands, naturally. With the power of reach and relatability these influencers have, being seen on their social media and blogs is undeniably important, especially for smaller designers. “It of course depends on the brand, influencer and context, but yes I consider it to be important. As long as the combination of influencer and brand is a perfect match. In situations like the front row and street style I think it can be extra important, because the brand can, through international coverage and street style, get international dispersion and relevance,” explains Pettersson. Regardless of the prominent designs being shown on the catwalk, street style might be what, in reality, influences style and spending the most. A combination of individuality and wear-ability is what gives the images so much power, and inspires the people double tapping the outfit photo. “Despite it being un-spontaneous and rigged these days, the recognition from followers is the highest when it comes to street style,” says stylist and digital influencer Nadia Kandil. Which is why personal style has become so marketable and a huge part of today’s fashion week scene. Pick up any fashion-related magazine and you’ll almost definitely find several street style images throughout its pages, often snapped outside the shows. In the autumn of 2016, Vogue.com published a discussion between their editors regarding the highs and lows of the recent shows at Milan Fashion Week. What caused the most stir was not any critique of the collections however, but a comment about street style. Influencers and bloggers were heavily criticised for creating chaos outside the shows, for wearing sponsored outfits and for “heralding the death of style”. The comments were harsh but the backlash came quickly. Not just from the people under attack, but also from readers. This is an industry where followers aren’t just invested in the sartorial aesthetic, but in the personality behind the look. Which is exactly what the brands sending out fashion week invites are after – not just a sense of style, but individuality and a loyal, invested following. The reality is of course that this is a business. Brands send gifts, pay for trips, invite influencers to shows and pay for them to wear their clothes – all to tap into their thousands of followers from all around the world. This is an integral part of today’s fashion industry, and just as magazines need advertisers to publish their magazine, so do bloggers and digital influencers to create their content. In a creative industry so focused on the image – the final perfect look, lighting and composition – there is always going to be a lot of hidden work that goes into creating the effortless, glamorous exterior that is sent out into digital and print channels. “I have a very mixed attitude towards the fashion weeks. On the one hand I love the stream of inspiration and the fact that you get to hang out with new people. On the other hand, it’s an incredibly shallow environment that is more focused on who you are and what you are wearing than actually enjoying it and getting inspired. I probably look most forward to seeing all the creativity and taking in the new trends,” says Nadia Kandil. Being both a stylist and editor working for major Swedish fashion magazines and celebrities, as well as a blogger/digital influencer, Kandil has an insight into both sides of the process. She knows the different approaches to the work being done at a fashion week depending on who you are – stylist and editor or influencer. “I think the point of fashion week is to be inspired and be able to plan your upcoming work, but also to immediately be able to share what’s happening and upcoming trends with your followers,” Kandil explains. 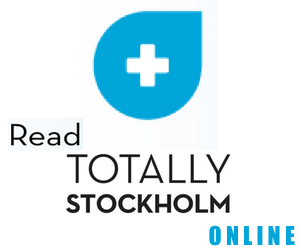 Always six months ahead, Stockholm Fashion Week has traditionally been about what will happen in future style, a way for press and buyers to get inspired and plan their upcoming work. Today there are many more facets to it and the digital world has added a sense of immediacy. While editors and buyers are taking in what’s going on and planning for the coming months, influencers are sharing and creating content on the spot. Filippa Hägg takes us through a typical fashion week as a social media influencer: “I usually start the preparations two-three weeks ahead of time. I plan my outfits in advance so I don’t have to pack too many clothes. But it has happened that I’ve had too much work in the run up and have not started packing until the night before. That’s usually when the outfits have turned out the best, when I don’t have too much time to think, but just put on what I feel like wearing that day. I usually get ready with a big cup of coffee in the morning. On my way to the first show I tend to run into another influencer or industry colleague. Then I might have a meeting in a showroom to do a fitting for another show. There’s usually a lunch with a brand or some other event, and throughout the day I make sure to update my Instagram diligently. I think influencers are good at providing a more personal view from the fashion weeks. It can be easier to relate to and fun to follow along behind the scenes. I always prioritise going to the shows of brands I’ve worked with before and like. The same goes for if there’s a new brand I’m interested in, then I always make sure I make time to go to that show. On social media I only post what I like. Of course, if I’ve been dressed by a brand for their show there can be certain expectations, but I always make sure to be there to pick out the clothes together with their stylist. It’s great fun and I love supporting designers by wearing their pieces to the show,” Hägg reveals. The question is, with the constant stream of impressions from everyone posting videos and images – often from the same show at the same time – is there a risk of over-saturating feeds with too much of the same thing? “There can never be too much! I think followers are continuously getting better and better at sorting and filtering. I also think that, to some extent, a lot of catwalk exposure for one individual garment in social media can become an important tool for brands to reach the right target, to be able to capitalise on their show, which is a big investment. Whether you get bored too quickly is another question though, since the garment usually doesn’t hit stores until six months later,” says Pettersson. Fashion has always been a fast moving industry, and in a digital world it has sped up even more. Focus has shifted to content with a sense of personality and immediacy. Brands big and small can, through influencers, connect to their audience in a completely different manner and fashion weeks have become a platform for this instant communication. But in an environment that is constantly changing, will this continue to be the case? “I think the natural shift will continue, and that traditional fashion media will continue to innovate their platforms and how they communicate with readers – during fashion week and in general. I think the same goes for influencers, these people have democratised fashion and made it accessible in a different way than it was before. There has been a big focus on macro-influencers and a high following, whereas now it’s largely micro-influencers you look to and it’s their smaller, niche, loyal following you want to access,” Pettersson concludes.